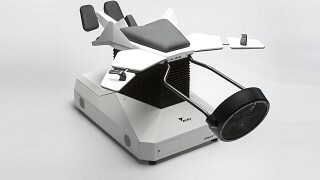 The intention of Birdly® is to fulfill people’s ancient dream of flying. With virtual reality (VR) and robotics technology SOMNIACS creates an extremely vivid full-body experience that makes you instantly forget the mechanics and computer codes behind this spectacular apparatus. The immersive and interactive nature of Birdly® serves one goal: to enjoy the ultimate freedom of a bird and intuitively explore the skies. 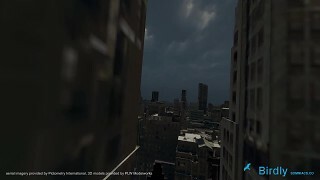 Visually immersed through a Head Mounted Display you are embedded in a high resolution virtual landscape charged with interactive zones and entertaining surprises. Unlike a common flight simulator you do not conquer the sky with a joystick, mouse and lots of buttons: you simply embody a graceful bird. 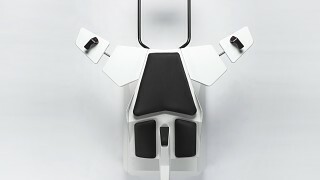 Birdly approaches the dream of flying through combining the best available technology with unconventional design methods. You command your flight with arms and hands which directly correlates to the wings (flapping) and the primary feathers of the bird (navigation). This input is reflected in the flight model of the bird and returned as a physical feedback by the simulator through nick, roll and heave movements. To evoke an intense and immersive flying adventure SOMNIACS vigorously relies on precise sensory-motor coupling and strong visual impact. 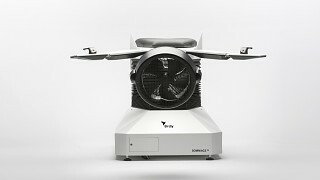 Additionally Birdly includes sonic, and wind feedback: according to the speed the simulator regulates the headwind from a fan mounted in front of you. After conducting flights with thousands of participants all over the world in 2014 and 2015, SOMNIACS decided to take Birdly® from its prototype level to a compact commercial product that is endurable, reliable and easy to maintain. 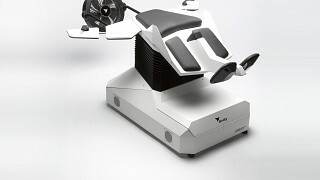 For convenient transportation and installation Birdly® Serial Edition integrates all technical components (simulation actuators and sensors, high performance rendering computer etc.) 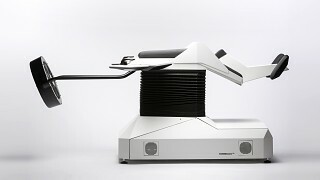 in one robust and well designed metal body. *Optional: contact SOMNIACS sales for specific Birdly® Serial Edition packages and prices. Height: 800mm to 1100mm / 32" to 44"